This is a rare opportunity to volunteer in a World Conference where you will be meeting State leaders and captains of the industry as well as delegates from as many as 50 countries. In 2010, over 150 applications were received. As this is a massive world event that is beyond the normal capacity of local stakeholders, the role of the volunteers is to provide assistance, technical knowledge and operational expertise to support the capacity of local organisers and their team based in Sihanoukville and to ensure the success of the event that will help to position Cambodia in the world ecotourism map. 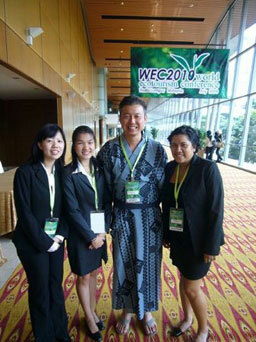 In light of this, WEC2011 aims to enlist youths of different nationalities to partake in the event in Sihanoukville. Those who are employed in relevant fields or undertaking courses in disciplines like tourism, social sciences, language, international relations, public policies, sustainable development etc will be most eligible. Twenty (20) males/females of different nationalities, preferably studying tourism, social studies, economics, environment conservation, leisure management, hospitality or English language courses/programmes OR working in a tourism/travel organisation. Cambodians who are conversant in English are strongly encouraged to apply. A genuine liking for people and service-oriented. Active efforts engaged in travelling, tourism, local communities, environment, nature or environment. Excellent computer skills and/or communication skills. Strengths in taking initiatives once the task is clearly understood. Candidates are required to have at least elementary proficiency of English language which is the medium of communication in this event. Candidates who can communicate in Spanish will have an added advantage. Successful candidates will be informed accordingly on the interview dates. Orientation is on 2nd October 2011, which is mandatory. The venue will be notified later. 3rd to 4th October 2011 (based on volunteer's work roster) sufficient to cover for refreshments and basic meals when on duty. Per diem is not applicable for during orientation. Under Cambodian immigration rules, social visit pass for visiting foreigners does not permit employment. Volunteer work is unpaid. 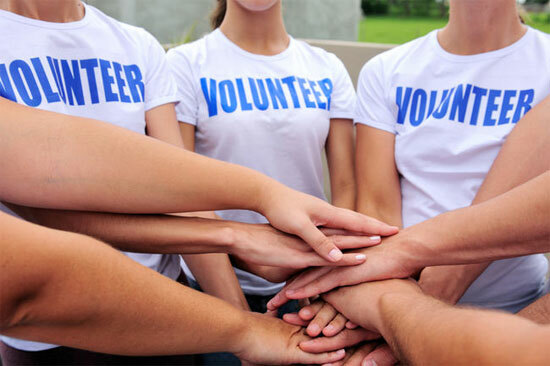 Volunteers are not employees but discipline is dictated by normal office rules and regulations of a company. Except for specific per diem for refreshments and meals as mentioned above, volunteers will need to pay for all their personal expenses including travelling to Phnom Penh/Sihanoukville, daily transportation and lodging. 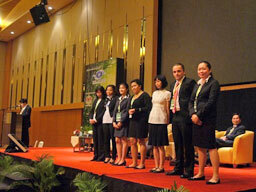 Optional basic accommodation can be arranged for volunteers in Sihanoukville. An estimated US$150 - US$200 will cover the cost of one week's transportation, shared accommodation, meals and refreshments during the volunteer period. Volunteers will work in small groups and will be assigned a coordinator who will assume the role as mentor. Volunteers who have completed their volunteer work to the satisfaction of their coordinators will receive a Certificate of Appreciation for your volunteer work, while deserving volunteers who have excelled in their volunteer work (at least 5 days) will receive a testimonial to support their career resumes and references.